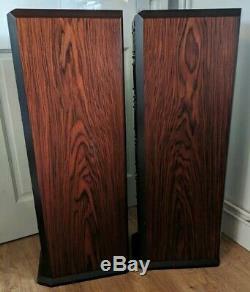 Rare Vintage Mission 753 Audiophile Floor Standing Tower Speakers in Rosewood. 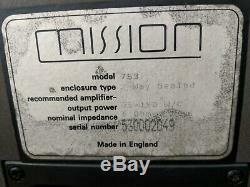 These superb vintage Mission speakers have been fully and thoroughly tested and cleaned and are in excellent working condition. Physically these are in good condition for their age but as with all used items there are some marks and signs of use. 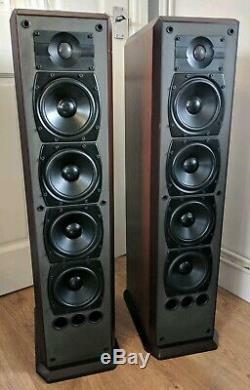 Unfortunately I don't have the grills for these speakers but they look so good without them so no great loss. The sound quality is superb and really does have fantastic clarity with surprisingly punchy deep bass. These usually come up for sale in the less desirable black finish which makes these that little bit extra special with the lovely rose wood finish. These can be wired as standard or as bi-wired for even better sound output. 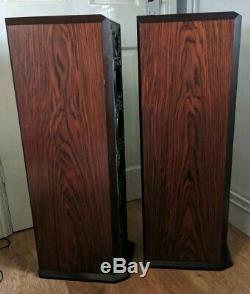 These are extremely heavy speakers so unfortunately will need to be collected in person. Specifications Type: 2 way, 5 driver loudspeaker system Frequency Response: 45Hz to 20kHz Recommended Amplifier: 25 to 150W Crossover Frequency: 2100Hz Impedance: 6 Sensitivity: 90dB Bass: 4 x 130mm paper Tweeter: 1 x 26mm ferrofluid cooled Enclosure: 34 litre, sealed with bass assist Finish: real wood veneer Dimensions: 875 x 208 x 315mm Weight: 50kg (25kg each) Any questions welcome. Please take a look at my other listings for more great items. 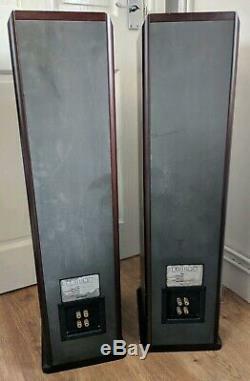 The item "Rare Vintage Mission 753 Audiophile Floor Standing Tower Speakers in Rosewood" is in sale since Saturday, March 23, 2019. 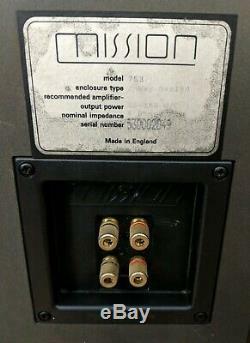 This item is in the category "Sound & Vision\Home Audio & HiFi Separates\Speakers & Subwoofers". The seller is "vickytoni69" and is located in Colchester. This item can't be shipped, the buyer must pick up the item.